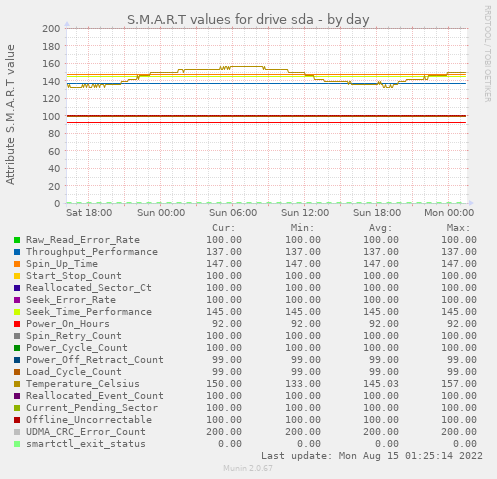 This graph shows the value of all S.M.A.R.T attributes of drive sda (HGST HUS724020ALA640). 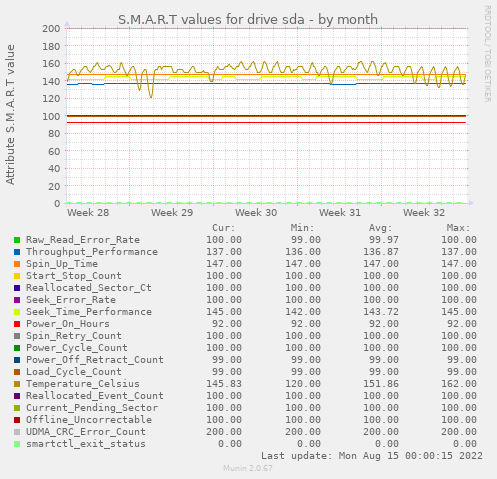 smartctl_exit_status is the return value of smartctl. A non-zero return value indicates an error, a potential error, or a fault on the drive.